I received many compliments on these pants. They are both comfortable and warm. I love them! Waist is small, so if you have wider hips then recommend to size up. Love the design, very comfortable and good fabric. Runs long for my height but can still wear long. Fit true to size. I am a small 4-6 at most stores, including LuLu.They fit Japanese style pant, which I love. Might not be for everyone. Paired with cropped sweater. Still looking for pairing tops reason why I gave 4 stars.Fabric super soft and cozy feel like they came out of a fabric softener dryer. These pants are amazing. 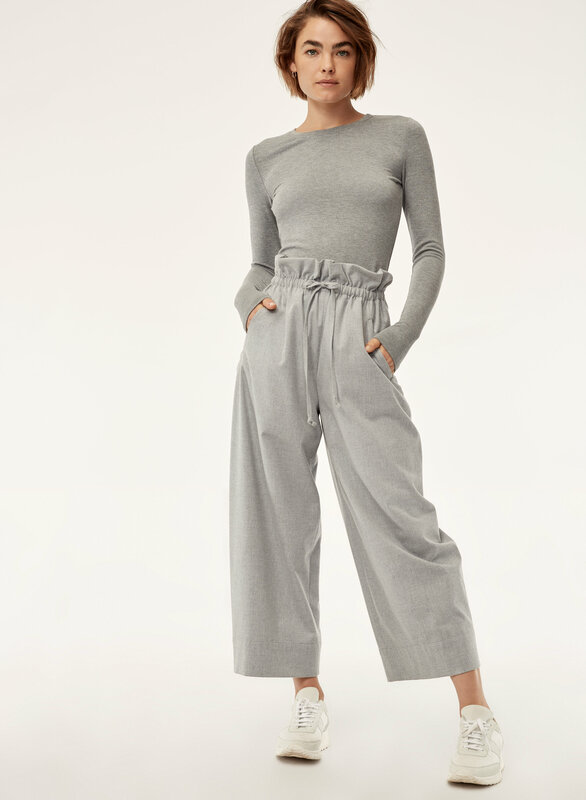 I've been looking for paper bag-like pants for the longest time, now I want them in every color. The only thing I have to warn full bottom women about is the waist. 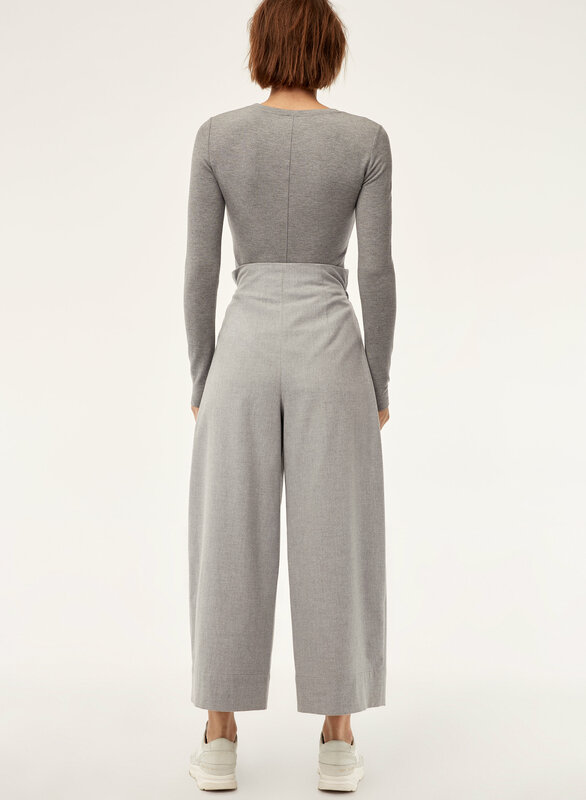 If you're like me and have a small waist but fuller hips, these pants will have you dancing to get them on. DON'T BE FOOLED BY THE DRAWSTRING. They will not expand to help you get these over your bum and are purely decorative because the string doesn't wrap around the back, it's only on the front. However, when you get them on they're really flattering. For me they don't tighten on the backside but remain loose, yet structured all throughout. 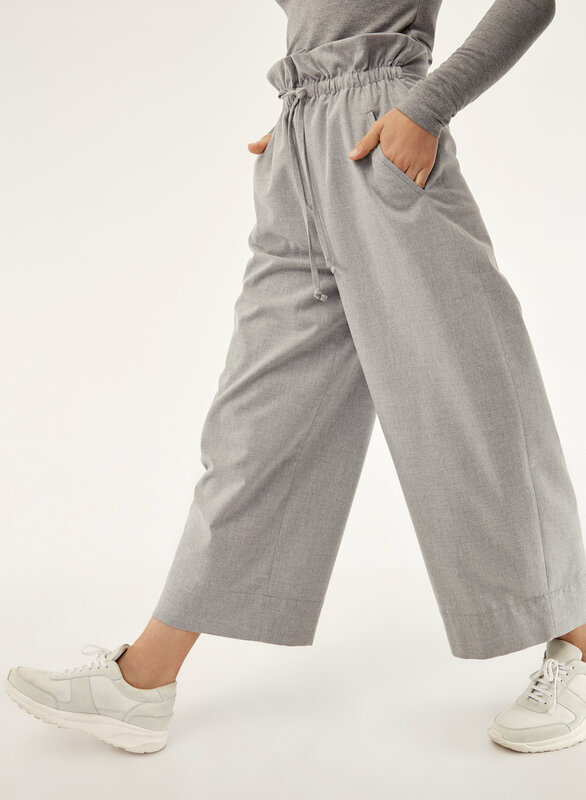 Its a very unique pant. High quality. 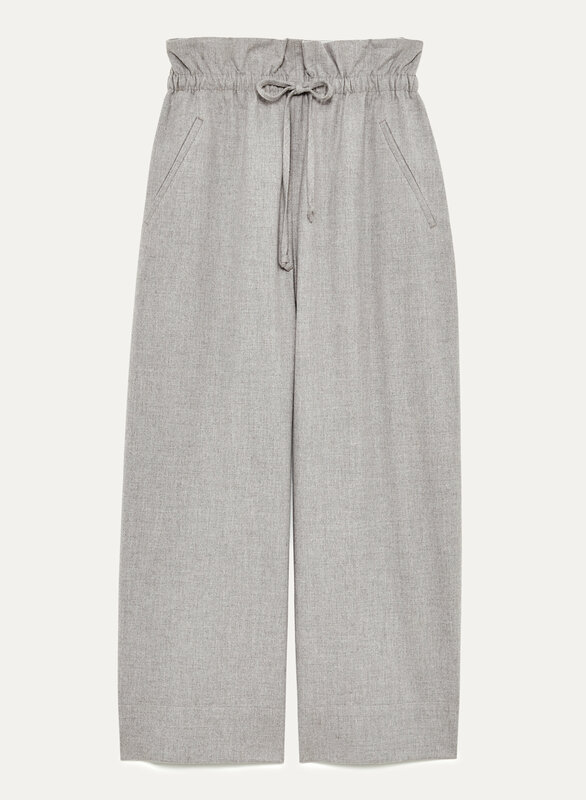 Fits perfectly and a very trendy and versatile pair of pants. Im very happy with my purchase.